Chai Spice Drinking Chocolate - Chocolate Chocolate and More! 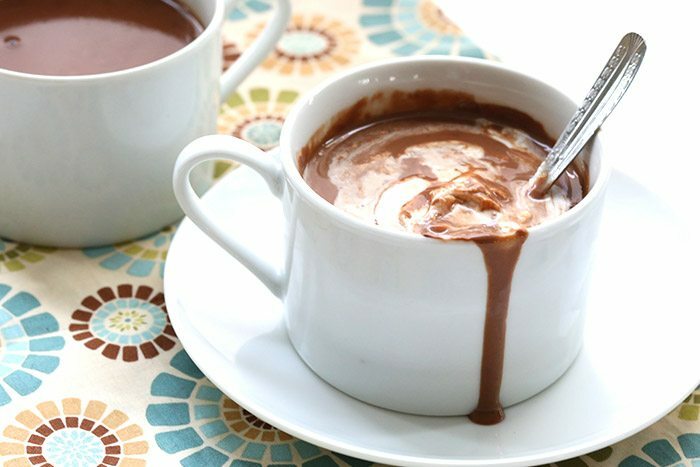 Want to take your hot chocolate to the next level? 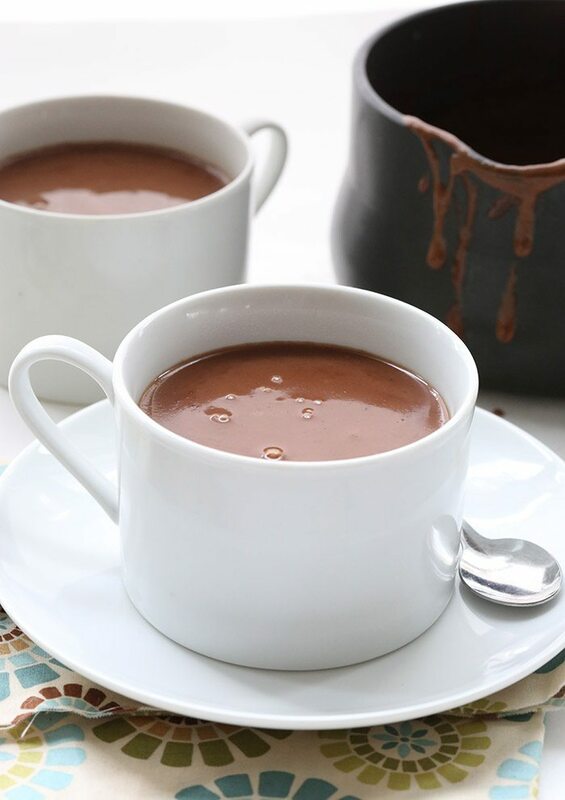 Try this deep, rich European-style drinking chocolate. Hello all. I am Carolyn of All Day I Dream About Food. As fans of Chocolate Chocolate & More, chances are good that you’ve never heard of my blog and there’s good reason for that. My blog is devoted to low carb and gluten free recipes, which isn’t exactly the reason you follow CC&M. But never fear, I am not here to push my sugar-free ways on you. I am here to here to give you a rich, deeply chocolate-y recipe that can be made either with sugar or with alternative sweeteners. It’s up to you! We can all enjoy chai spice drinking chocolate, no matter what our dietary restrictions are. Because if there was one thing Joan and I had in common, it was a deep and abiding love of chocolate. I had drinking chocolate for the first time recently at a chocolate bar in downtown Portland, Oregon. This is not your grandma’s hot chocolate, friends. This is not the thin, milky drink of your childhood, or the kind of powdery stuff that comes from a packet. However fondly we all might remember wrapping our cold hands around a cup of Nestle or Swiss Miss after a day of sledding, this is not that kind of recipe. Chai Spice Drinking Chocolate is just as you might expect from the name. It’s thick and dark and rather like drinking a melted chocolate bar. 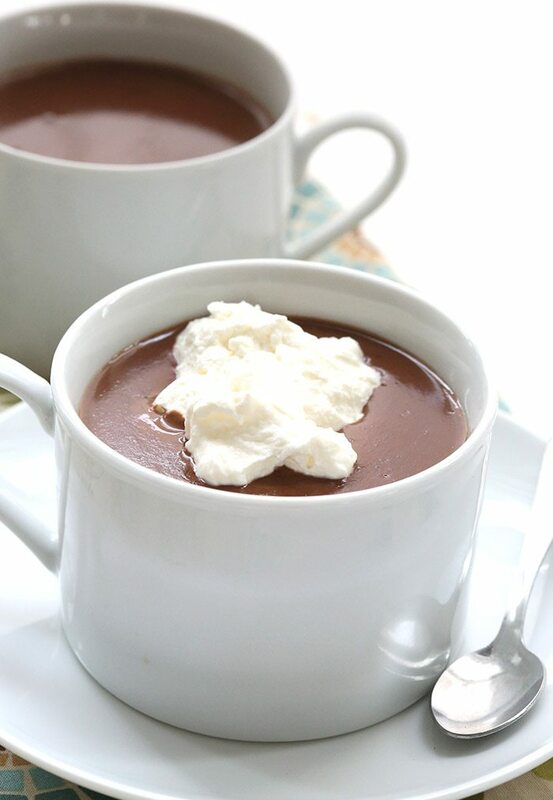 Or maybe more like drinking warm chocolate pudding before it’s put into the fridge to set. Bottom line? It’s a dessert, not a drink, and it’s not for the faint of heart. Only serious chocolate lovers need apply. Sip it slowly. Savor it. I’ve been dying to make some at home and this guest post seemed like the perfect opportunity. And I couldn’t help but mess around a bit with some warm spices to create a chai-flavoured version. But you can leave out the spices if you prefer, and just enjoy the unadulterated chocolate experience. Hope you love it. We certainly did! In a medium saucepan, combine whipping cream, milk, powdered sugar/sweetener, cinnamon, cardamom, ginger, cloves, and pepper over medium heat. Add chocolate and let sit for 3 minutes to melt. Whisk briskly to combine well. Let cool 10 minutes to thicken and whisk again. Add additional sweetener to taste. 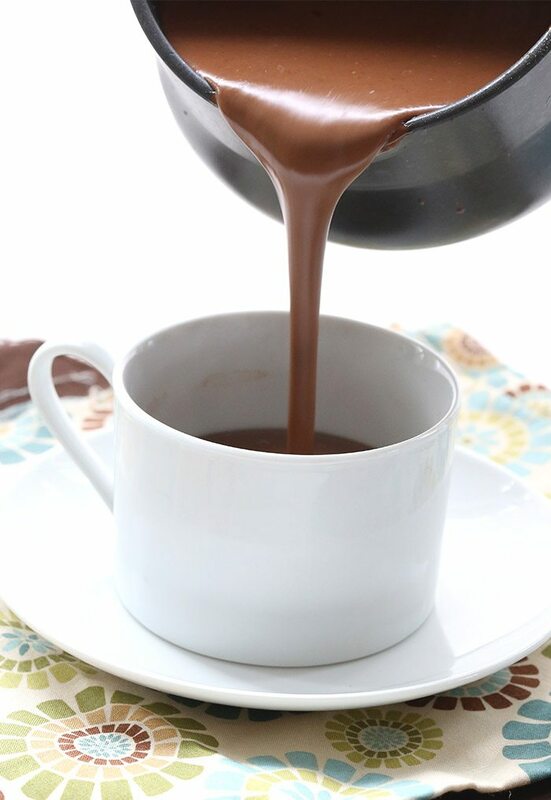 Pour into two small mugs or tea cups. Top with whipped cream, if desired. This looks absolutely amazing! I can’t wait to try it, it’s like all my favorite flavors in one! Oh yeah this is happening. It’s cold and rainy out and I want chocolate.